Bundling and Minification is a new feature of ASP.NET 4. 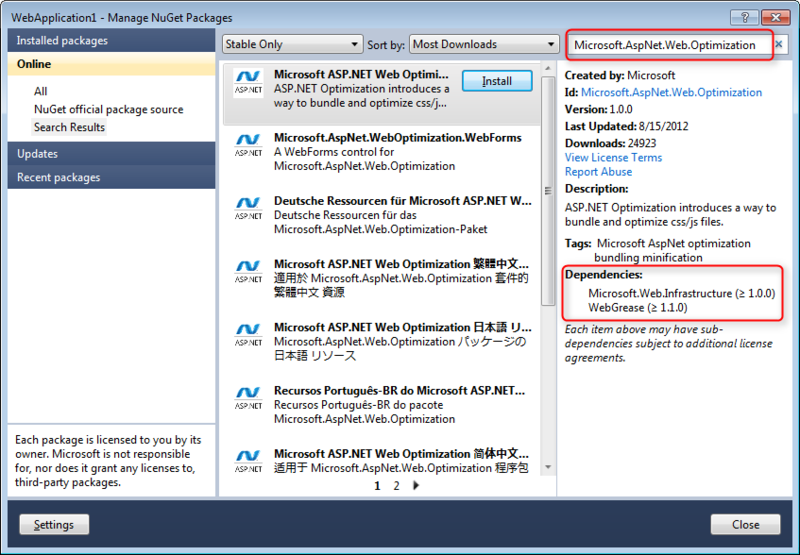 Learn more from this tutorial http://www.asp.net/mvc/tutorials/mvc-4/bundling-and-minification. It has been promoted as part of ASP.NET MVC 4, but actually does not depend on MVC stack and may by used within any ASP.NET application including ASP.NET Web Forms. When you start a new ASP.NET MVC 4 application using Visual Studio template, it sets up all what you need to start using this feature, but if you have an existing ASP.NET application (even not MVC), you have to complete following steps to make it works with your app. 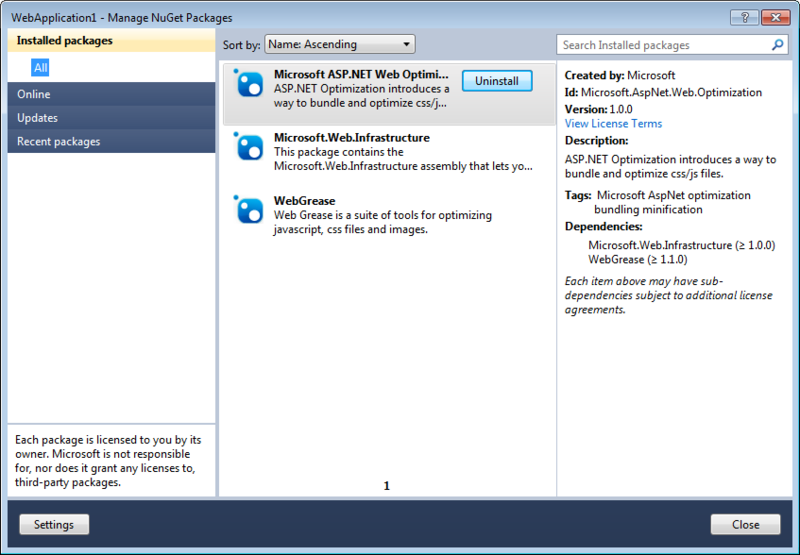 As you may see, it depends on two other packages, but you don’t have to worry, NuGet will manage all dependencies and will install them as well. 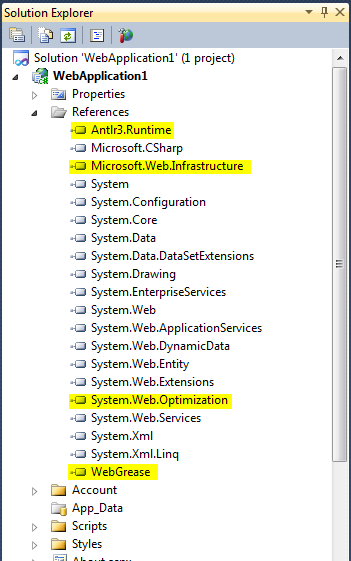 Now you may see a few new references added to your project: Antlr3.Runtime, Microsoft.Web.Infrastructure, System.Web.Optimization and WebGrease. </div>All new referenced are set to be copied to /bin folder (Copy Local = true in property window), so they are deployed to server with your application. No need to mess with GAC :).